The Presidency, on Monday night, made it clear that President Muhammadu Buhari’s administration would not join issues with former President Olusegun Obasanjo over his latest comments. 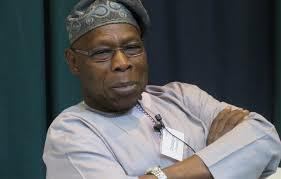 Obasanjo while addressing a group of youths, who visited him at his country home in Abeokuta, described the Buhari administration as a failure. He also asked the All Progressives Congress (APC)-led government to stop complaining about the challenges it met on the ground. “What we have now is failure. Never you reinforce failure, let failure be failure… Those of you who are in business, your business could have been better today if we have a competent and effective and performing government,” he had said. However, the President’s Special Adviser on Media and Publicity, Femi Adesina, who responded to Obasanjo’s comments in a telephone interview on Channels Television on Monday, said the assessment was not new. “Already, the statement issued few months ago by the Minister of Information and Culture, Mr Lai Mohammed, in response to the earlier criticism made against the government by Obasanjo had adequately addressed the issues raised,” Adesina said. He maintained that Buhari’s govenrment would keep making reference to the failures of the past administration, with a view to guarding against such mistakes in future. According to Adesina, the Buhari administration had successfully tackled mismanagement of the nation’s economy, as Nigeria now had more savings in its foreign reserve than ever before.